Sensational looking coupe. Handled and went well enough with 2.5 V6. Short lived, so body parts bound to get hard to come by. Decent rear boot space? Check. Long wheelbase? Check. Tow bar? Check. While it seems like we’re running down a wish list for our latest estate, we’re actually ticking off some of the more idiosyncratic ‘selling points’ of the Ford Cougar. Want nimble and pokey? Buy a Puma. Need something lazy, practical and a bit ugly? The Cougar is the car for you. 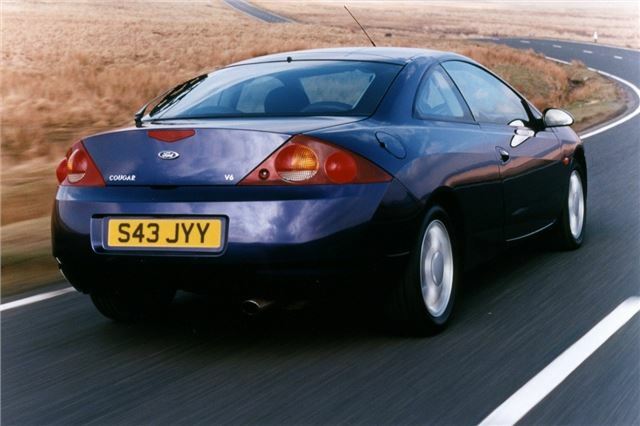 Like the Probe, here’s another Ford that fell into the abyss labelled ‘it’s not a Capri’. But not only was it not a Capri, it wasn’t really an anything. Launched in 1998, it had more in common with coupes from the late-1980s like the Mk2 Scirocco that had a strict child-only rear seat policy (but with room for a buggy in the boot). It also cost £22k new, which was quite a lot back in the day. Fast-forward 20 years though, and the Cougar is actually a decent modern classic proposition. For a start, Ford barely sold any so you’re unlikely to bump into another one. In fact, we reckon there’s just over 3500 known to the DVLA left. Secondly, you get all the toys – air con, leather seats, electric everything. Finally, it’s a flawed vehicle – and if the Allegro can make it, the we’re pretty sure the Cougar can. Power came from either a very slow 2.0-litre four-cylinder or a slightly less slow 168bhp 2.5-litre V6. The four-pot took 13 seconds to get to 62mph, while the latter made it in 8.1 seconds. 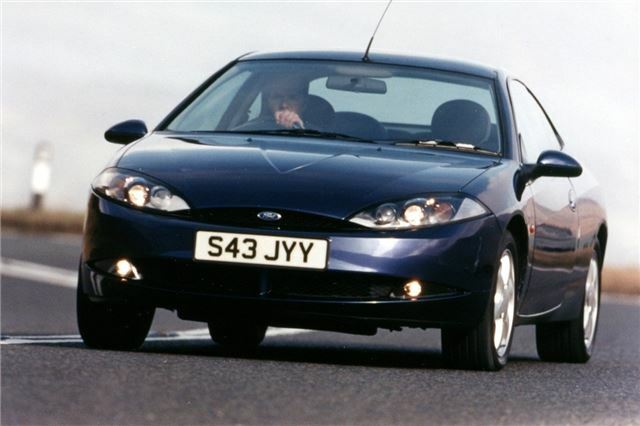 Embarrassingly, that means you’d struggle to see off a Mondeo at the lights – not great, as it’s the Mondeo platform that underpins the Cougar. What the Cougar really needed was the 200bhp ST engine, but it never got it. Probably because Ford soon realised they’d made a mistake. And no, we’re not talking about the Dennis Hopper Easy Rider-inspired marketing campaign. Although that was also a huge misfire. Forget attracting middle-aged men who still wanted to live dangerously, the Cougar was mainly bought by female drivers. Hot damn, indeed. So, the Cougar was ugly, poorly built, slow and certainly not ‘born to be wild’. But we reckon that while it might be too soon to forgive and forget such misdemeanours, by the time you do come around there’ll be none left and the prices will have shot up.